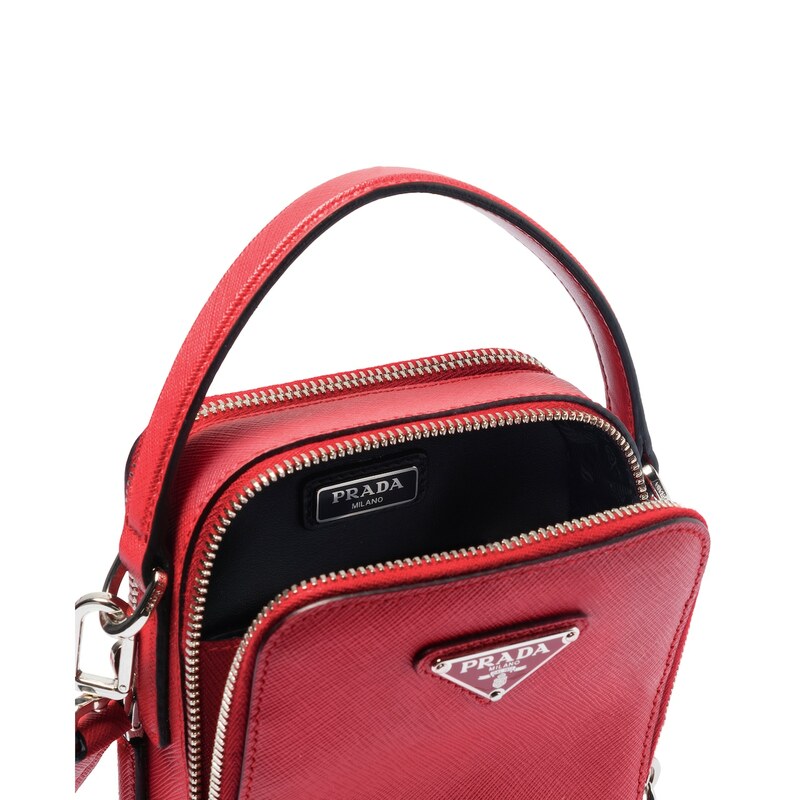 Saffiano leather bandoleer bag with metal triangle logo. 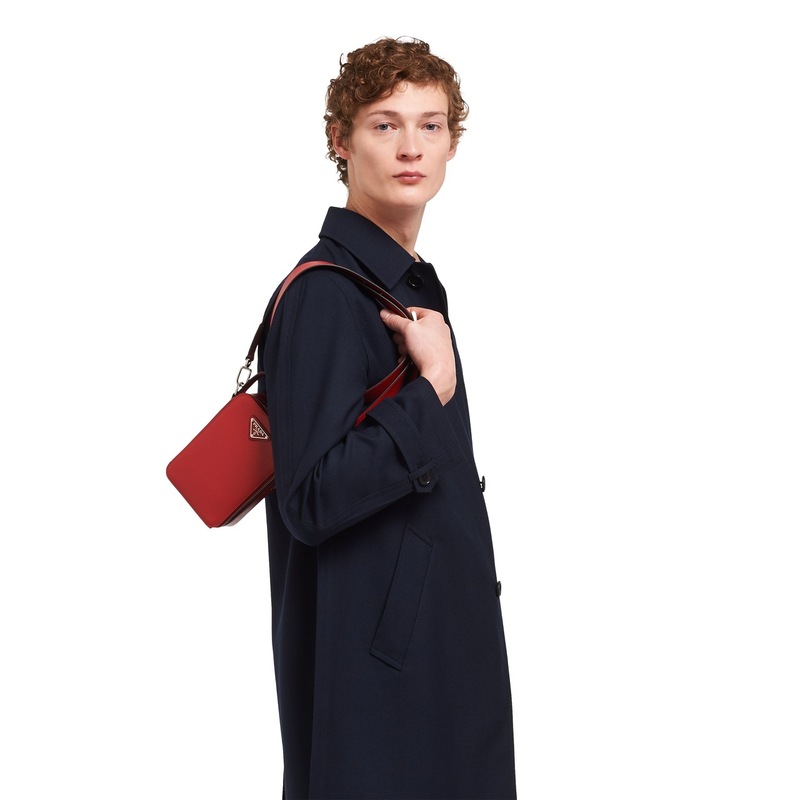 The bag has two outside zipper pockets. 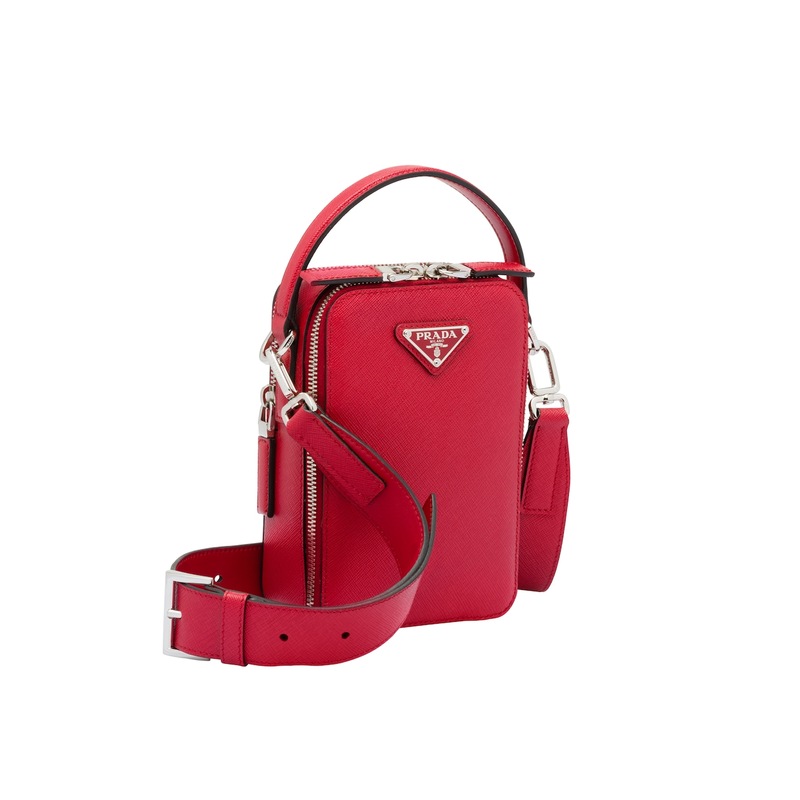 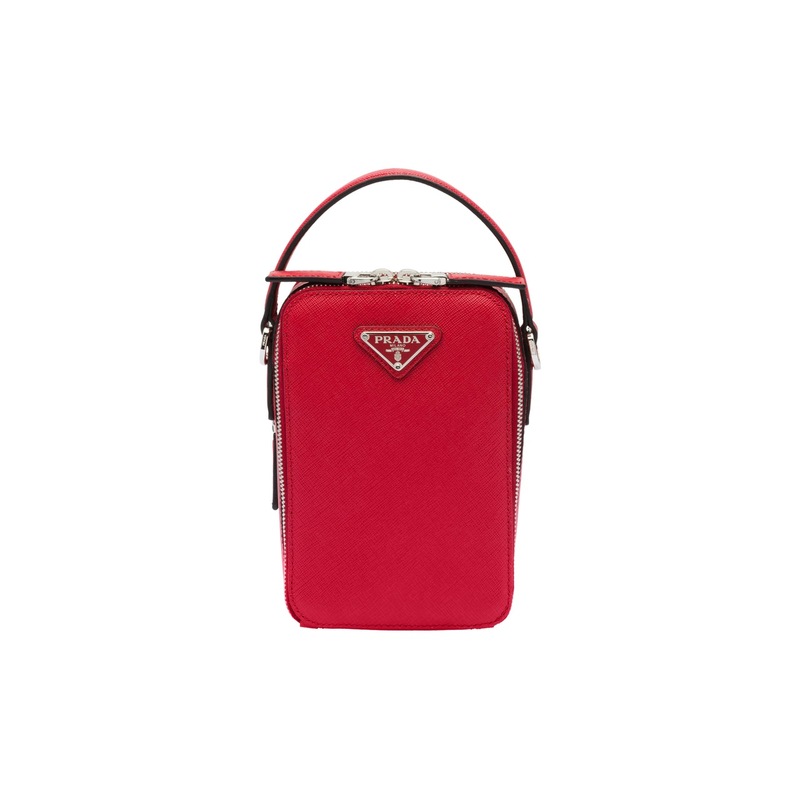 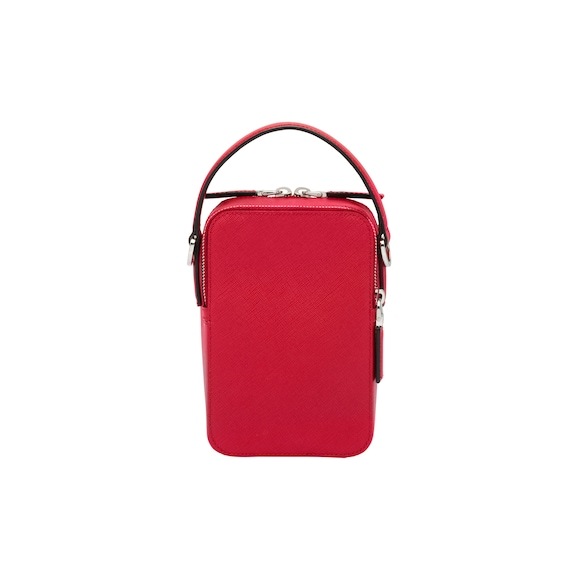 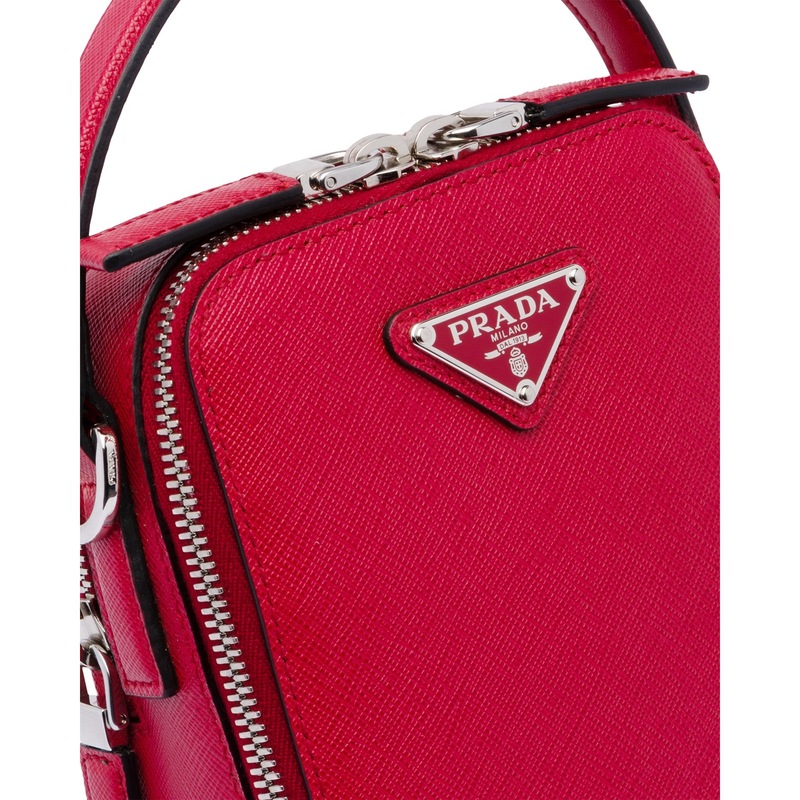 A leather shoulder strap completes the accessory.